Shh! 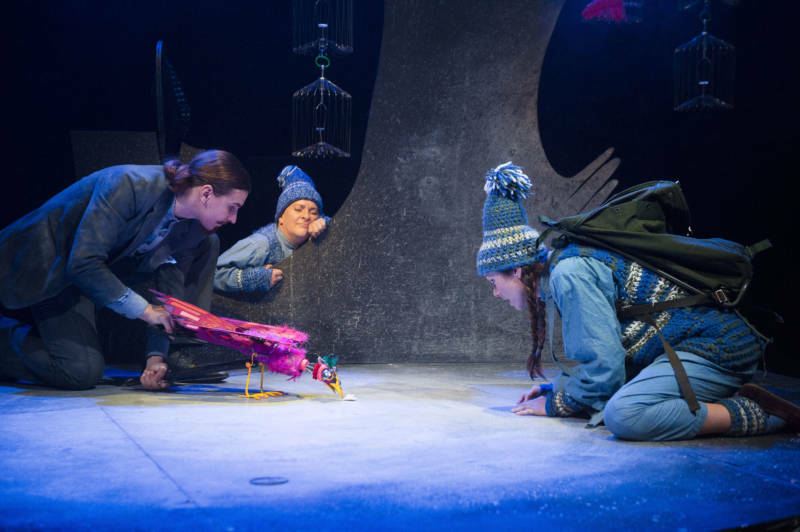 We Have a Plan is an enchanting theatre production by the multi-award winning Theatre Company Cahoots NI. This delightful and poignant tale follows the journey of some madcap characters, each of whom has a plan…they all want to capture a beautiful bird perched high in a tree! Prepare to be enchanted and amazed by this unique non-verbal production featuring Magic, Music, Puppetry and lots more! Adult $20, Child/student $10. FREE student ticket with every paid adult. Use discount code FREESTUDENT in online purchase. The Great Northern Radio Show with Aaron Brown is a live radio variety show produced for Northern Community Radio. The show features music, sketches, performance and storytelling celebrating the talent and culture of northern Minnesota. No matter if you have seen it before – it is new every year with excellent featured artists and imaginative sketches. The show is a live radio variety show produced for 91.7 KAXE/90.5 KBXE, Northern Community Radio. The show starts at 5 p.m. sharp. Audience members are asked to be seated by 4:30 p.m.